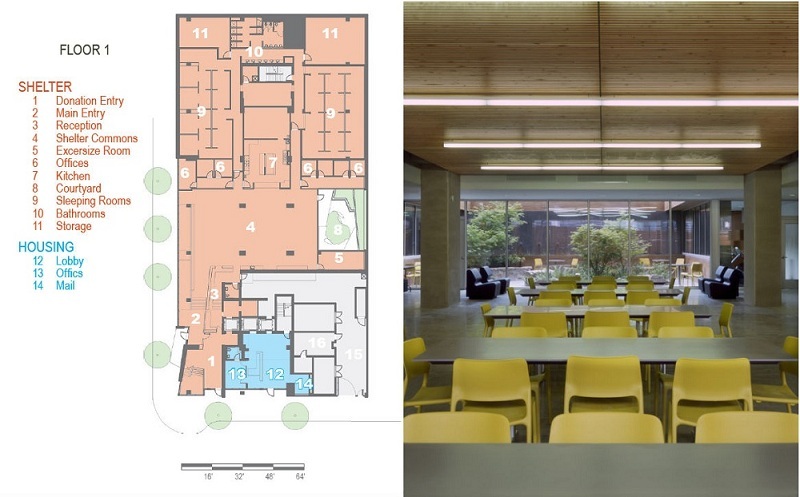 Bud Clark Commons, named after a former mayor of Portland, Oregon who championed the city’s 1986 homelessness plan, is a comprehensive services center that seeks to provide stability to the lives of those experiencing homelessness. 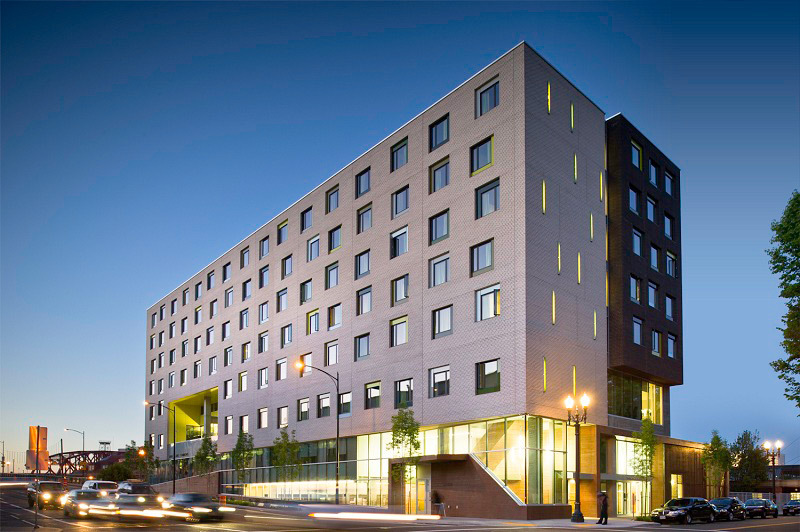 As an important element of the city’s 10-year plan to end homelessness, the LEED Platinum-certified project combines a resource center with transitional and supportive housing in an eight-story structure. 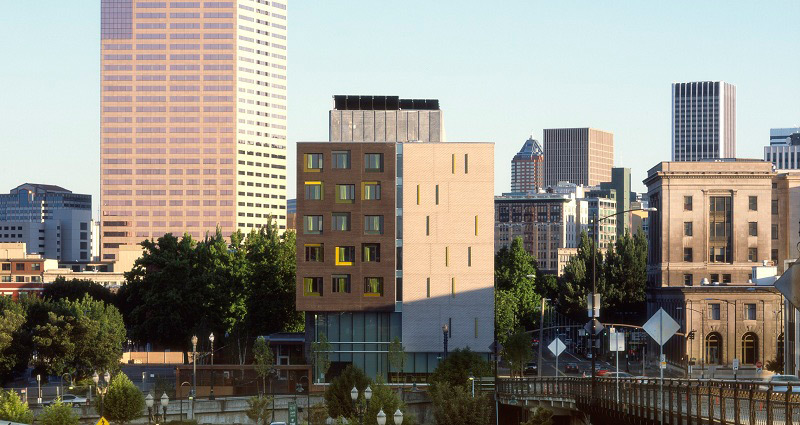 The success of the project is a direct result of the partnership between the Portland Housing Bureau, Home Forward, Multnomah County, and Transition Projects, Inc. (TPI). 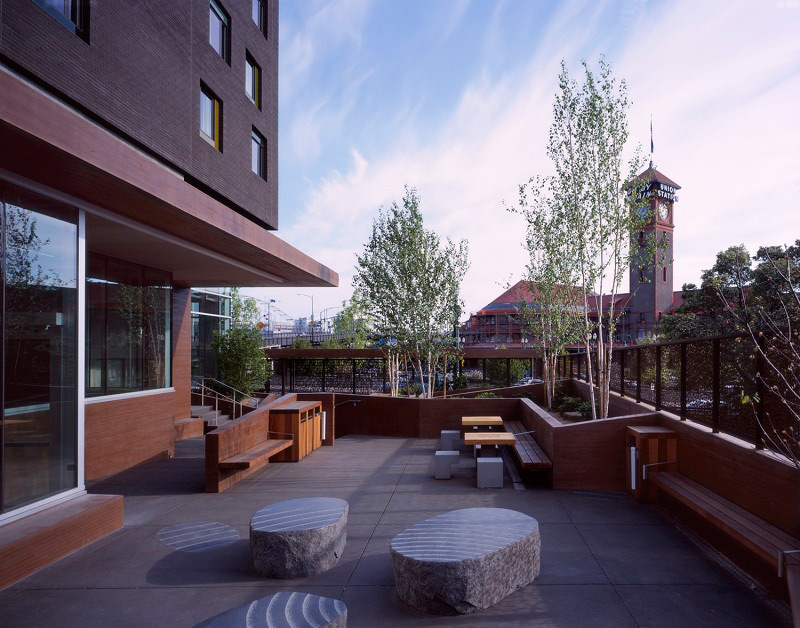 As the recipient of the American Institute of Architects (AIA)/HUD Secretary’s Creating Community Connection Award, the Commons is recognized as a dignified space where the city’s most vulnerable residents have access to a continuum of treatment and services. 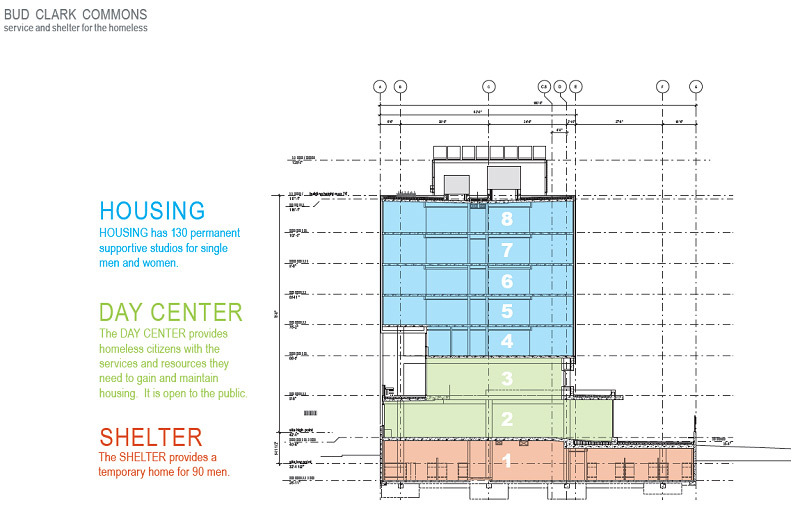 The Commons’ three primary programs are distinguished vertically in the eight-story structure. Home Forward partners with four community health clinics, which administer the assessment to their clients and screen prospective residents for placement by Home Forward.8 This “Housing First” approach leverages permanent supportive housing to help effectively manage many of the root causes of chronic homelessness, including mental illness, chemical addictions, and unemployment, although housing assistance is not conditioned on participation in supportive social programs. Portland Development Commission, Resolution No. 6564 (www.pdc.us/Libraries/Board_Resolutions/Resolution-No-6644-RAC-IGA_pdf.sflb.ashx). Accessed 19 November 2012. 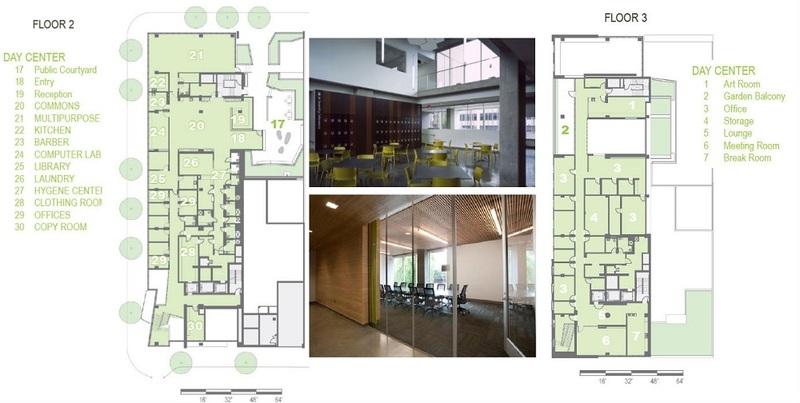 Bud Clark Commons Final Monthly Report, June 2011; Home Forward, Bud Clark Commons; building plans provided by Hoist Architecture. Bud Clark Commons Final Monthly Report, June 2011; Home Forward, Bud Clark Commons; Doreen Binder, executive director, Transition Projects, Inc., telephone interview, 2 October 2012. Dave Otte. 2012. 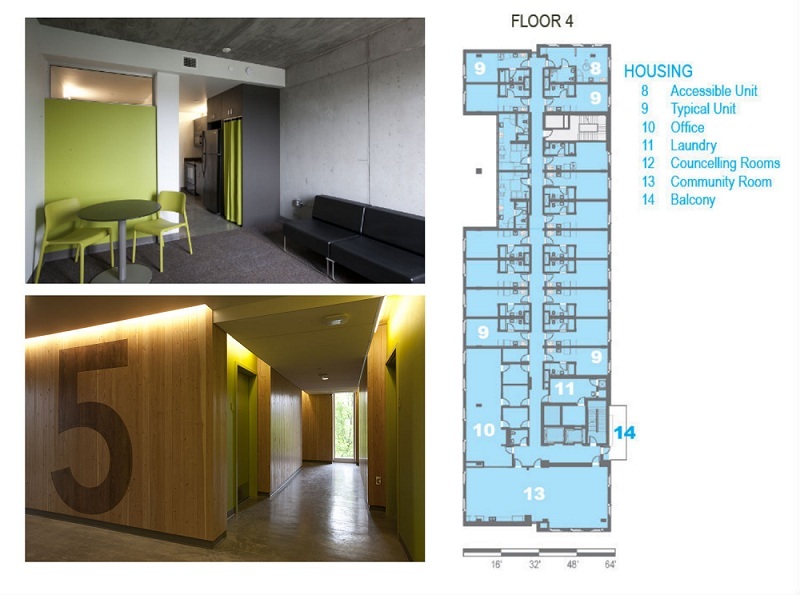 “Housing First at Bud Clark Commons,” Residential Architecture: AIA Northwest and Pacific Region 10:4, 62–65. Mike Andrews and Rachel Duke, Home Forward, telephone interview, 9 October 2012. 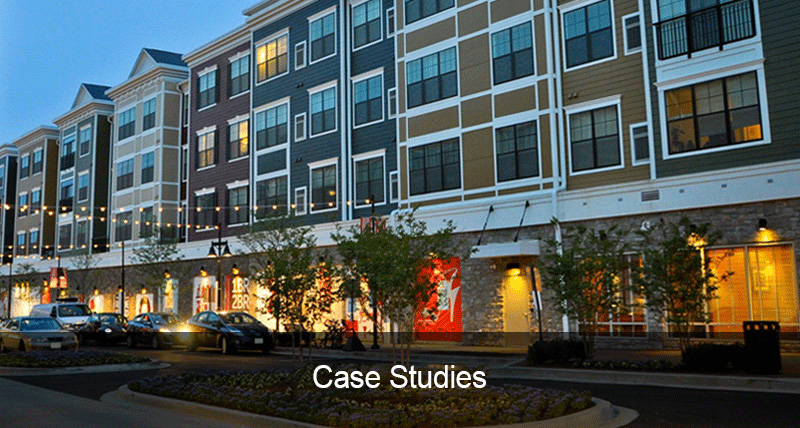 “Linking Housing and Health Care Works for Chronically Homeless Persons,” Evidence Matters, Summer 2012. Dave Otte, Hoist Architecture, telephone interview, 4 October 2012; documents provided by Hoist Architecture. 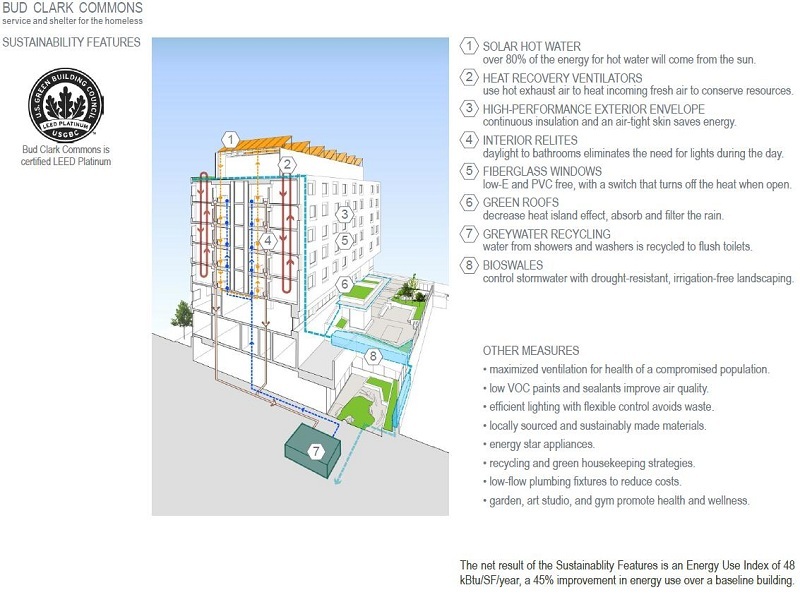 Documents provided by Hoist Architecture. Data provided by Doreen Binder, executive director, Transition Projects, Inc.
Mike Andrews and Rachel Duke interview.